The cool weather finally hit us here in Florida and to me it sure is welcome. 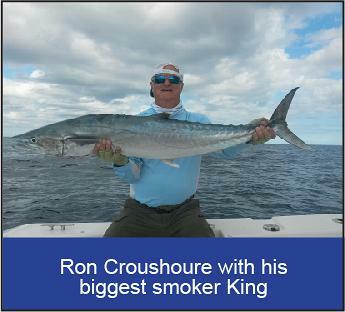 That means the large and jumbo smoker kingfish are out in the ocean for the taking, when the conditions are favorable. The pre-front bite and a mild north current with clear plankton rich water is a good time to fish, still go when you can, any day is a good time to bond with mother nature in my book. Plus, there are almost always surprise catches out in the cobalt blue Atlantic Ocean, like maybe a mahi, sailfish, or shark. Anything that bends a rod is fun.